SYDNEY, Australia, January 4, 2018 — ASUS today announced AiMesh, an innovative feature upgrade for ASUS routers that allows users to easily create a flexible and powerful whole-home Wi-Fi system using any compatible ASUS models. AiMesh overcomes many of the limitations found in alternative off-the-shelf whole-home Wi-Fi systems, such as mesh-networking systems. Although these systems can be convenient all-in-one solutions, they are often only available in fixed bundles, with a limited choice of Wi-Fi speeds, hardware features and upgrade paths. With AiMesh, users can create a completely flexible whole-home Wi-Fi system tailored to their needs, while continuing to enjoy all the functions of each individual ASUS router, such as extreme Wi-Fi performance and exclusive advanced networking features. 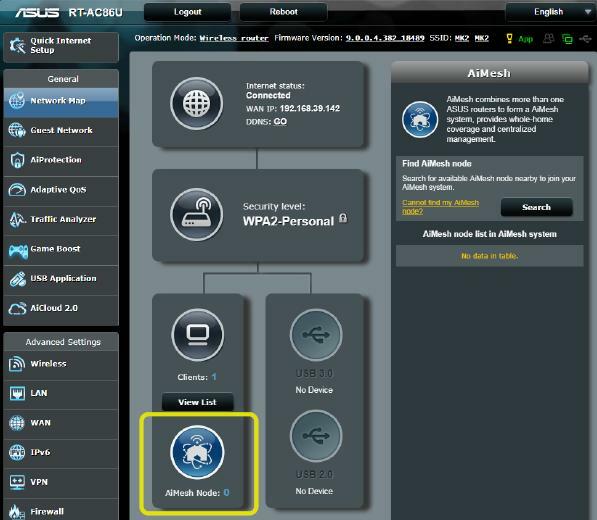 AiMesh also offers convenient central management and control via either the ASUS Router mobile app or the ASUSWRT web interface. Enabling AiMesh on a compatible ASUS router just requires an easy — and completely free — firmware update that allows it to be added to any AiMesh network, so users can mix and match models according to their budget and/or needs, and make good use of their old router when they upgrade. AiMesh is an unbeatable solution for discerning users looking for the ultimate whole-home Wi-Fi system, adding yet another dimension to the award-winning family of fast and reliable ASUS routers. Most modular mesh systems are limited to a single SSID, whereas AiMesh offers seamless roaming with either a single SSID for the entire AiMesh coverage area, or alternatively with separate SSIDs for each frequency band. This allows increased flexibility, for example by allowing them to dedicate the 5GHz band to gaming devices or a smart TV. 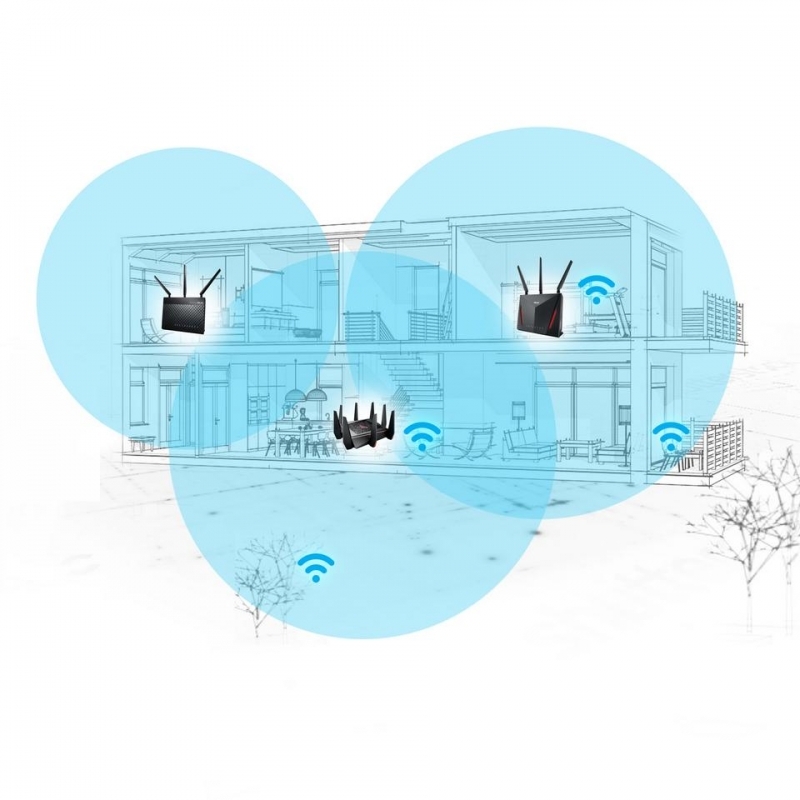 Unlike off-the-shelf mesh systems with a fixed feature set, AiMesh is designed to give users unrivaled flexibility, allowing them to tailor the functions of their whole-home Wi-Fi system to suit their individual needs. AiMesh-enabled routers retain all their original networking features and capabilities — including ASUS AiProtection, Adaptive QoS, Parental Controls and more — so users have no need to compromise their individual networking preferences. Additionally, the features of the primary router are shared with the entire AiMesh network, regardless of the models used. Setup and management is flexible too, with the choice of using either the intuitive ASUS Router App, or the powerful and easy-to-use ASUSWRT web interface from a PC or laptop. All settings and preferences are centrally controlled and synced to all routers in the AiMesh network. Off-the-shelf mesh networking systems are often more focused on improving overall coverage than on delivering raw performance, leading to frustration for those users who demand both full coverage and extreme Wi-Fi speeds. 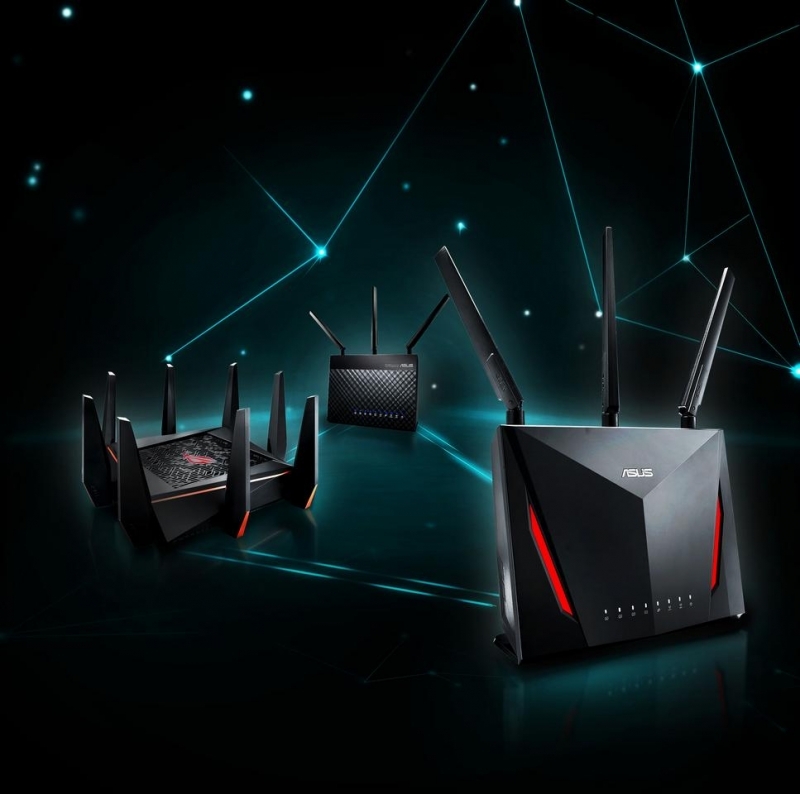 ASUS routers are widely acclaimed for their high performance and outstanding reliability, and with AiMesh users can harness their power to create an unbeatable Wi-Fi system. In actual laboratory tests using the latest dual-band ASUS RT-AC86U router we have measured Wi-Fi up to 5.5X better throughput than a router from a dual-band, tri-hub mesh setup. All ASUS routers have specially designed and optimized antennas that ensure the best signal coverage and stability, making them capable of delivering powerful signals to even the most remote parts of the home. Combining AiMesh with the superb coverage and extreme performance of ASUS routers means users can finally enjoy a network that can easily handle demanding tasks like 4K UHD video streaming and gaming, even in the remotest corners of their home or garden. ASUS AiMesh is a free upgrade for selected ASUS routers, and is available worldwide. Currently supported routers in the ANZ region includes: RT-AC68U, RT-AC86U, RT-AC88U, ROG Rapture GT-AC5300, RT-AC5300. ASUS Blue Cave and ASUS Lyra Series routers will be ready later in 2018. For the most up-to-dated support list, please check www.asus.com/AiMesh. ASUS is one of Fortune magazine’s World’s Most Admired Companies, and is dedicated to creating products for today and tomorrow’s smart life. Our comprehensive portfolio includes Zenbo, ZenFone, ZenBook and a range of IT devices and components, along with AR, VR and IoT. ASUS employs more than 17,000 people worldwide and over 5,500 world-class R&D talents. Driven by innovation and committed to quality, the company won 4,385 awards and earned approximately US$13.3 billion of revenue in 2016.